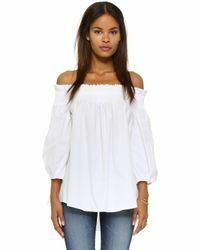 This season's off-the-shoulder trend is showing no sign of slowing down. 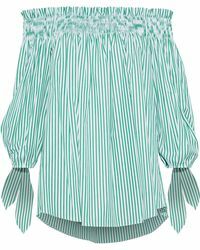 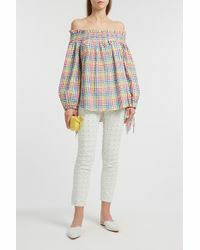 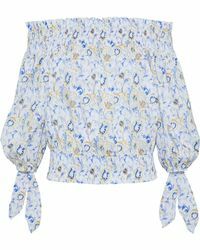 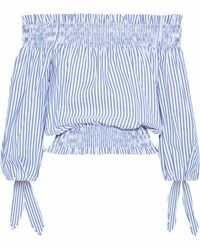 Stock up on key pieces with a Caroline Constas Lou top. 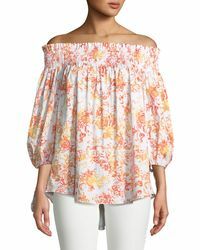 Coming in a loose-fitting, balloon style, the Lou has an elasticated trim along the neckline for a feminine off-the-shoulder finish. 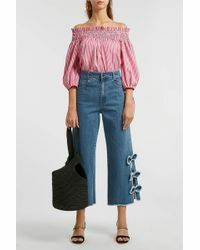 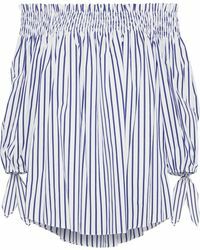 Coming in a range of plain and striped styles, choose a piece with ribbon ties at the sleeves for an extra twist and wear with denim jeans and backless mules for a trending look.